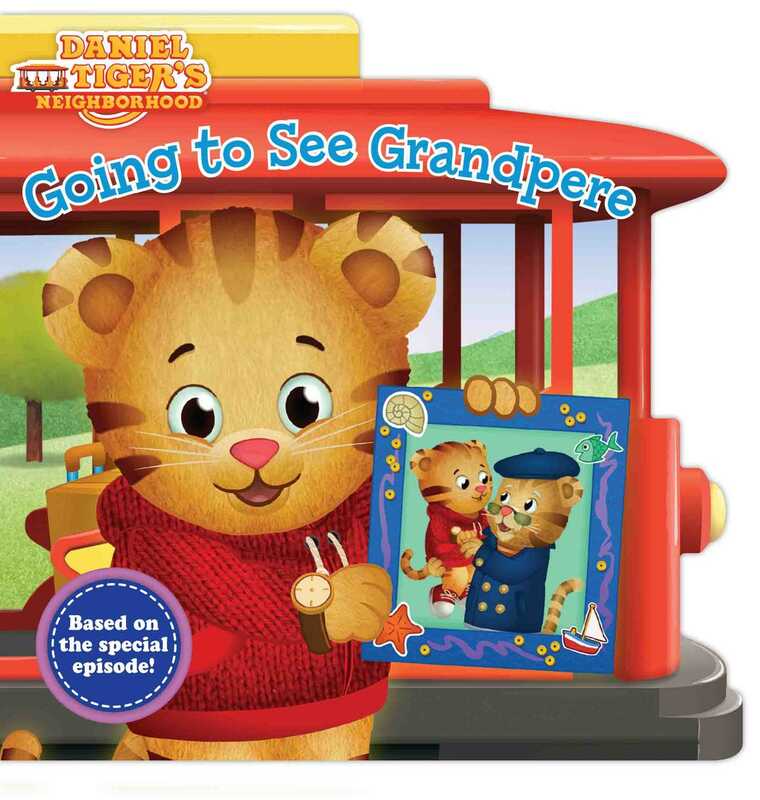 Join Daniel Tiger on a trip to visit his grandfather in this shaped board book based on a special episode of Daniel Tiger’s Neighborhood! Daniel is going to visit his grandfather, and he can’t wait to give him the gift he made especially for him. It’s a homemade picture frame with a photo of the two of them together. But when they get to Grandpere’s house, Daniel realizes he lost his present. Daniel is so upset! But Grandpere tells him that there’s something even better he can give him—a big hug!